We may not have all the money or resources in the world, but that doesn’t mean that 20-somethings are not an asset to ending the plight of child soldiers. 1. Be an ADVOCATE and use the WEB as your Microphone. 2. Find YOUR EXPRESSION to give them a Face in this world. 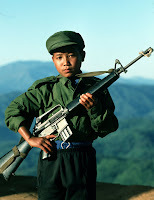 There are an estimated 300,000+ child soldiers on earth today. In most situations, they are reduced to being identified by a number, leaving them nameless and faceless to the world. We can use our creativity to give them their face back. If you’re a musician, write songs for them. If you’re a visual artist, draw or paint pictures of them. If you’re a college student, write papers on them. If you’re an actor, create plays that make people aware of them. If you’re a writer, write books, articles, or blogs about them. Project: AK-47 has made dog tags, each one labeled with the name of an active child soldier in Asia. By wearing them around your neck, you’re representing and advocating for these otherwise nameless and faceless children to the world. 4. 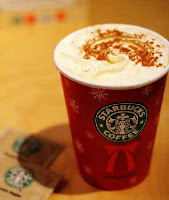 Trade a Latte 4 Liberation.